Soccer players with wide feet have a hard time finding the best soccer shoes that fit. That is why the most questions you will find will revolve around helping the wide footed soccer players find the right type of soccer shoes. When most soccer cleats manufacturers are designing these shoes, they focus on average sizes since most midfielders and forwards are shorter than 5’7″. This leaves only a few that consider the wide feet. If you have a passion for soccer, then you understand how important it is to find the right shoes for the game. It is worth noting that while soccer shoes do not make a player, they help them perform better and reduce the chances of injuries. This article looks at the top soccer cleats for players with wide feet. It is aimed at helping them find not only quality shoes but also perfect fitting ones in the market. Read on. Before you hit the market looking for your right fitting shoes, it is crucial that you have the information about what you need to consider to ensure you make the right choice. Buying any shoe just because you found one for wide feet is a mistake you don’t want to commit. So, what are some of the factors to consider when buying soccer cleats? It is advisable to choose cleats that are one size larger than what you wear. This would allow room for the socks after which it will fit perfectly. That is why you are supposed to try them on with your socks to ensure that you are picking the right size. Bear in mind that when too long, it can end up affecting your game. The last thing you want is to end up with narrow shoes when you have wide feet. It will be uncomfortable, and your performance will be overly affected. Therefore, when shopping, make sure that the shoe is labeled “W”, or there is a description clearly stating that the cleats are for wide feet. Every player has their preferred position, and finding the right shoes for each position can go a long way in improving your performance. For instance, forwards want something light with a clean strike zone, while midfielders would use a boot that offers control and stability to run around the pitch. Goalkeepers would need cleats that provide enough traction with the ability to make quick lateral movements. Another important factor to consider is the material used to make the upper part of the shoe. The best material is leather if you have wide feet. This is because it stretches easily and can be altered for a custom fitting. Most of the other materials may not fit properly since they don’t stretch as much as leather. No player wants to be bogged down by the weight of the boots they are wearing when playing. That is the main reason why many manufacturers are focusing on reducing the weight of the shoes they design. For this reason, if you are a wide footed player and can find lightweight shoes, even better. Adidas is a brand you cannot fail to come across in the playing ground. The production is associated with quality and performance, and the Mundial Turf is no different. You will agree that it is difficult to find such a good shoe designed for players with wide feet. 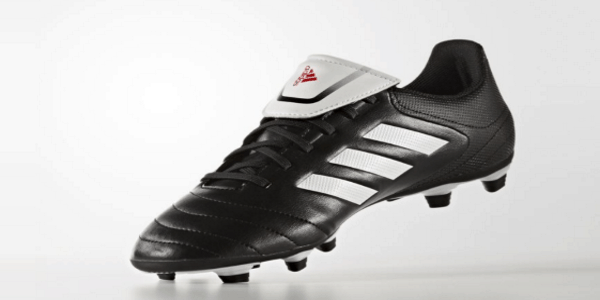 The shoe is made of stretchy leather that allows for breaking and expansion for fitting the wide footed players. Furthermore, they come with an anti-chafe lining on the inside that works to prevent foot odor as well as synthetic that offers comfort when putting on. The traction is guaranteed with the TRAXION material that ensures a firm grip on the ground when making runs. The stretchy leather, the comfort this shoe offers, and the anti-chafe feature make it the right choice for players with wide feet. Another production from Adidas that has made it to the top of the list for best cleats for wide feet is the Copa Mundial. You can call them the grass version of the Mundial Team Turf having been built with the same quality. The shoe offers comfort and great ball control and power striking features. The player also gets a stretchy leather top with an anti-chafe lining on the inside. The only difference is the durability of the outsole since they are designed to withstand the hard toll the surface and grass has on the shoes. 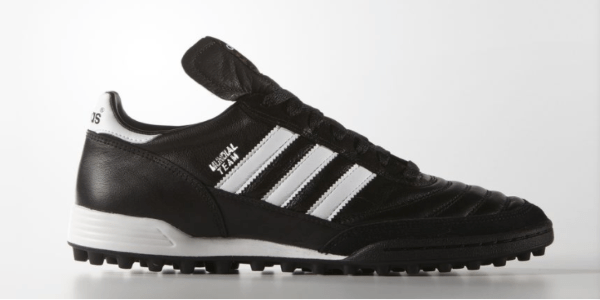 The stated features are proof enough that these are ideal shoes for above average sized feet. 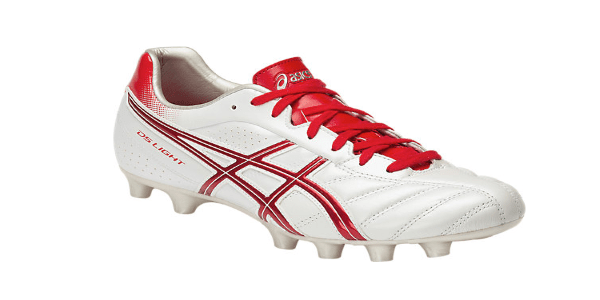 ASICS is another great name in the industry as far as soccer cleats are concerned. The DS Light Wide shoes are ideal for players with wide feet in a number of ways. Firstly, the upper part is made of the soft kangaroo leather which stretches extensively to allow for the accommodation of wide feet. Moreover, the sole plate comes with adequate arch support that allows for comfort and stability when controlling the ball. The outsole has 12 studs designed to offer nothing less than powerful traction on different playgrounds. To help the wearer maintain its cleanliness, the shoe allows the removal of the insole. The kangaroo leather is soft and stretches extensively. The insole is removable for easy maintenance. The soleplate offers support and comfort. Traction is guaranteed for different surfaces. Some users complained of the shoes not being as wide as they wished. The soft and stretchy kangaroo leather, traction, support, and comfort the shoe offers make it one of the best soccer cleats for wide feet.